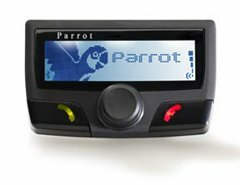 Parrot ck3100 | SoundSecure.co.uk Mobile car audio and Security, bluetooth handsfree kits, parking sensors in Surrey,Sussex and Kent. The Parrot CK3100 LCD is the most renowned hands-free car kit on the market. With the Parrot CK3100 LCD, you will be able to place and receive calls in comfort and safety, without ever touching your mobile phone.The wireless connection between the Parrot CK3100 LCD and the Bluetooth phone and its voice recognition system is enabled as long as the phone is turned on.At a time when legislation is tightening up to restrict the use of mobile phones in vehicles due to safety concerns, Parrot CK3100 LCD benefits are not just for the sake of convenience and comfort – they are fast becoming a real necessity. Phone book is downloaded the the kit so you can find your contacts with ease.